I am addressing you in your capacity of a private individual, who has ended up in a complicated situation, which can be resolved in a dignifying manner. I believe that you are able to solve this problem independently. However, since the only source of power in the Republic—as the Constitution reads—is the people, I also firmly believe any form of INTERACTION—shall we say, in the form of an open letter like the one you are reading now—would make sense. I also firmly believe in the power of printed word. You have inherited a country with wonderful people, who are hardworking, patient and trustful. You are in quite a situation right now, at least because these very people are ready to believe any promise you would make—after all, they miss changes by now. The risk of going down the history as a populist president is perhaps more probable than being known as a tyrant and bloodsucker. We live in such a world, wherein its individual parts interact with each other as the cells of a body do. It is impossible that one would sneeze in some dark, dusty corner of the world and no one would wish them blessings coming from a friendly aircraft carrier or atomic submarine. One may not spit and not instantly get feedback as to its precision and calculation from contemporaries abroad—and I’m not even talking about the upcoming generations. There is an opinion that I want to share with you: In order for a country—I would not use the term “state,” since everything is more complicated there and that would be something beyond my intellectual capabilities anyway—to develop, it is sufficient to stay out of people’s business. Let the entrepreneurs invest in goods and services, seeking profits and income; let the chefs cook the pilaf, seeking the pleasure of customers; let the artists and poets draw pictures and write poems, using the laws of perspective and individual creative capabilities; let the doctors heal people and the journalists defend the society’s interests. Such an orchestra of professionals could actually play a piece even without a conductor; after all, they have sheet music containing all notes and pauses in addition to which they have ears that allow them hearing others’ instruments and maintain unison and instrumental harmony. Nonetheless, I believe a country like Uzbekistan does need a conductor. The average Uzbek citizen’s consciousness is submitted to a rigid hierarchy—and that’s how we are. Therefore, in continuation of musical references, the individual at the conductor’s post is to be responsible for each erroneous sound and note. Ancient Chinese wise men advise living each day as if it were the last one. Given the inevitable and fast approaching end, one’s feelings become sharper as if under photosynthesis; true values—nothing to do with consumption or digestion—manifest themselves; so do values of religious nature. By the way, the word “religion” means precisely that—restoring lost connections. Let’s imagine that the upcoming term in office is the first and last. Let’s us assume you will not have a chance to correct anything thereafter, and only the next generation will be your judge. To be sure, we are not forgetting the Divine Court. I am not urging you to follow the footsteps of your Uruguayan counterpart Jose Mujica known as the poorest president on Earth, who never collected worldly treasures and lived, even during term in office, in an old farm and ate only vegetables he cultivated himself. 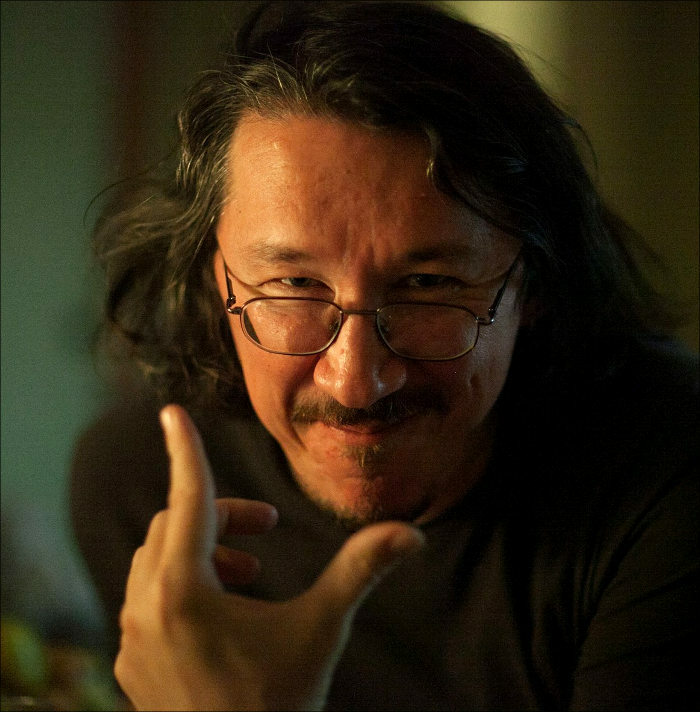 His particular case is unique in Latin America—and let yours be unique in the post-Soviet Central Asia. I am not urging you to forfeit life in the president’s palace or to use 1987 model of VW Beetle, for such a step would not be appreciated here. 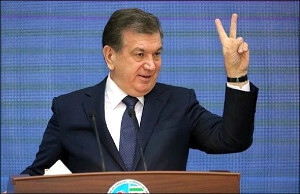 After all, we are Uzbeks and we’d the first to fail in understanding this… However, I implore you with the name of God, remove the barricades in the centre of the capital! You know, the matter of your personal safety and security—and I’m uncovering a secret here—must be left until the THIRD (and subsequent) term in office, because only during the SECOND decade of ruling do the INITIAL symptoms surface; yes, some sort of gerontocracy attributes. But we are administering an experiment, are we not? Uzbekistan has been a welcoming and hospitable country since times immemorial. I hurt when I hear tourists call this country a “police state” after their visit, and of course they primarily mean the insane number of law enforcement officers, the unofficial prohibition of photo and video recording, endless searches and questions in subways, etc. The issue of security in general is a two-edged sword. Overzealously combatting crimes and terrorism could easily take a turn against common citizens: a man in uniform could sometimes be much more dangerous than a gang in that dark alley. In addition to everything imaginable, the power-wielding bodies need money and food—yet another burden on the taxpaying people’s shoulders. You would probably ask what to do with all them now? They probably would not be good property managers of flat blocks, and nobody wants this kind of managers anyway. But there are other fields that do not require a degree in anything; a private security company, for instance. Shavkat Miromonovich, I would probably be the last person to be talking to you about corruption, which has permeated the entire society as fuel vapours in an internal combustion engine. This analogy is an obvious one: kickbacks and bribery are the most efficient fuel of the system, i.e. “grease before you drive.” One does not have to be a genius to know that there is no single person in the country who has not used this universal tool at least once when confronted by police, customs, businessmen, etc. It seems to me that legislative reforms are necessary in this case. There is a wonderful country where current officials sit on armchairs whose upholstery is the skin of other officials who took bribes when they were alive. But that is, of course, not our style. But if each state official, beginning with the head of state, would report on every single soum they spend, thing would eventually take off. By the way, openness and glasnost would be helpful in our aspects of my and your life. Let journalists and writers of Uzbekistan criticise your work in all newspapers—then you would not have to block access to various discomforting websites; case in point, Fergana.RU. Let courts and trial be open and fair while prisons are free from political prisoners. That is what I would like to wish you in the first place, Shavkat Miromonovich. You know, it seems to me that everything is not as complicated as it may seem. Just look into the constitutional articles and provisions more often. That document is to be your main daily desktop book. Now, of course, there are underwater currents that only you can see and sense, where we simply want to believe. Believe in new times and a better future free of violence and lies. We sincerely do want to support you in everything good and warn you against everything bad. … Oh, by the way, be extra cautious after your second term in office. History shows this is the period when any mortal’s temptations start rearing their heads, especially so if that mortal is a president, whose death happens under everyone’s attention: always online, always in live feeds. Sometimes this death can take several years when a politician becomes a politically dead body; partners and foes (sometimes both are one person) start openly taunting and internally hating that person. Those around start fawning: a clear indication of fear in their hearts. Their love is not loyal like a house built on a swamp or quicksand. And you know what? Yes, let’s do that experiment! Who cares about the third term in office, you don't need it. Nor do you need the fourth one. I firmly believe that the only condition for economic and political (civil, if you wish) development of our society is transition and transfer of power. We, on the other hand, will certainly ask you to stay in power. But, do not listen to our pleas. We don’t always know what’s good and beneficial for us. And, in turn, we will be judged by our grandchildren and great-grandchildren. And they will also question us about every single president we elect.